You’ll often hear people say that celebrities have veneers and this may seem like the best way to replicate picture-perfect teeth. Each mouth is different and porcelain veneers need to be carefully researched. 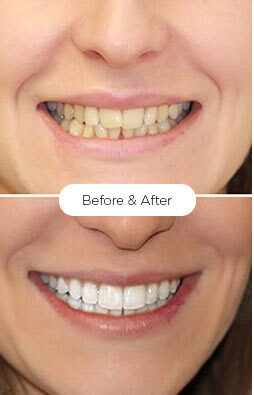 Deciding that porcelain veneers will create the look you want is only one step in the process. There is much more to learn before proceeding further. A veneer is a thin layer of ceramic or composite resin tooth-colored filling material that is applied over the tooth to improve its color and shape. A small amount of enamel is removed beforehand to improve the bond between the veneer and the tooth, but otherwise, the procedure is permanent and has no effect on your oral health. Typically used for the front teeth, these crowns perfectly mimic the look of your natural teeth. 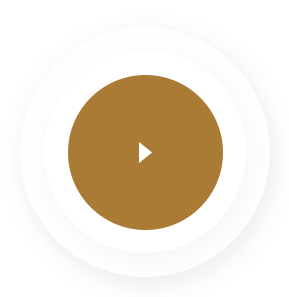 This type of veneer is made of composite resin and is applied directly to your teeth by a dentist. This option is more time and labor intensive and produces less predictable results than indirect veneers. Many patients have heard of porcelain veneers, but may not be totally sure how they can help their teeth look better and make a great smile. We care to give you the best quality available in the market, this way we use strong, beautiful materials to improve your oral health. You can enjoy the benefits of dental crowns for decades. Porcelain veneers are a terrific solution to address a broad range of the cosmetic dentistry problems that many patients face. However, not every dental patient is a candidate for porcelain veneers. Below are some of the criteria that cosmetic dentists look for in a porcelain veneer patient. Porcelain veneers adhere to the enamel on the surface of your tooth. If the enamel on your teeth is mostly gone – or if you have lost a significant amount of the tooth structure – veneers have nothing to bond with and are probably not the best option for you. Veneers don’t involve multiple dentist visits or procedures which take place over months. They also let you avoid braces while whitening your teeth at the same time. Patients who severely clench or grind their teeth are not good candidates for veneers. Dental Veneers are not as strong as natural teeth so that they can be chipped or broken more easily by the kind of pressure exerted by bruxism. Some patients who only grind at night may be able to have veneers if they’re diligent about using a night guard which protects the teeth. The main reasons why porcelain veneers need to be replaced are due to chipping or breakage, decay, debonding or in some cases changes in the gum tissues (i.e., receding gums) making the teeth and smile less than esthetic. Depending on the problem, it may be necessary (or ideal) to replace all the veneers, but if just a couple of teeth have problems with their veneers, they all do not need to be replaced. On average, veneers last 15 years but can last much longer, 20+ years, depending on various factors. These factors include tooth preparation – if the veneer is bonded to the tooth enamel (as opposed to the dentin layer underneath), that is a better, stronger bond and lasts longer. Other factors include your care (brushing and flossing) and getting your teeth checked regularly. Some of the longevity also depends on the correct treatment plan such as identifying, correcting and minimizing any bite issues and protecting your teeth from certain habits, like clenching, grinding, biting hard objects and putting excessive pressure on your teeth. Veneers are irreversible and are not recommended for individuals who have a poor oral care, to begin with or teeth that are heavily damaged or weakened (these are often better restored with full dental crowns). 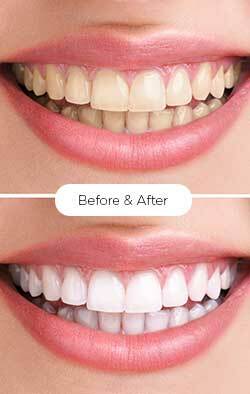 Having veneers does not protect you from experiencing decay, cavities or gum disease. Therefore, it is vital to continue with your regular checkups. 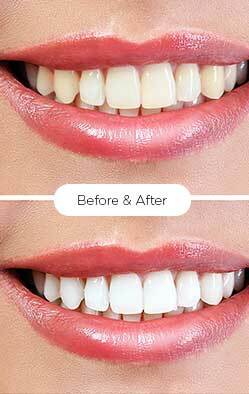 If you want to restore and enhance the look of your smile, you have two great options – dental crowns or veneers. But to get the most from your new look, it’s important to understand the differences between these two options. This quick guide will make it easy to find the best choice for you. A dental crown is covering often made of porcelain that is designed to hide damaged and unsightly teeth while making each tooth stronger. The crowns are the same color and shape as your natural teeth, so once the procedure is complete the work is invisible.